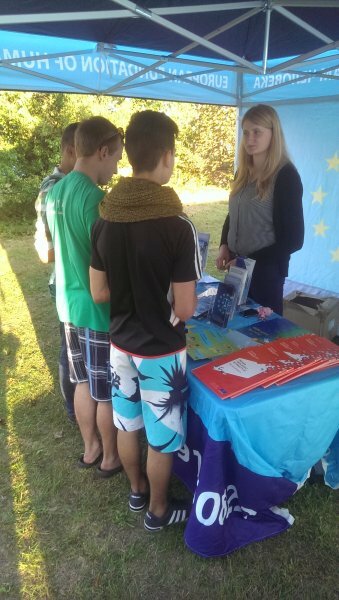 The Youth’s Catholic Days (YCD), held in Šumskas between August 22nd and August 24th, were one of the last events of the summer for the European Foundation of Human Rights (EFHR). Information about previous EFHR trips is available in our event-calendar. This was our second trip of the summer where most of the participants were young people. 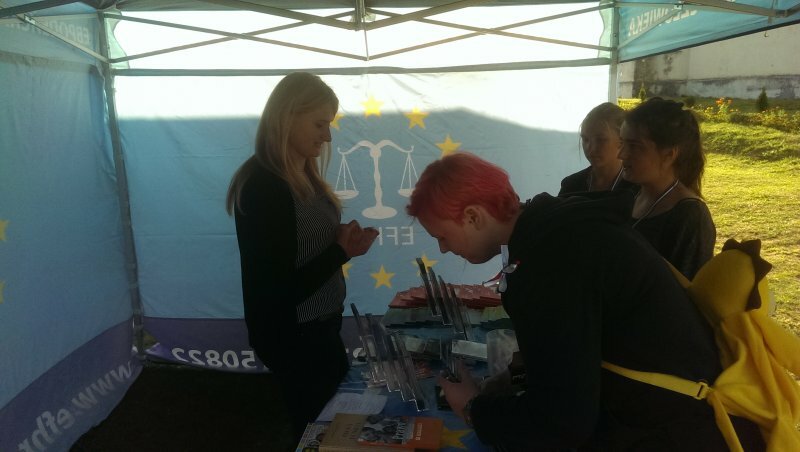 Hence, what we prepared especially for them was a contest testing their knowledge of human rights and institutions established to protect these rights, in which the winners were awarded with valuable educational materials such as textbooks and films, and also with some EFHR gadgets. 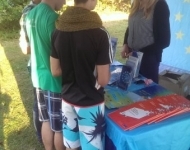 Other educational and informational materials to be found at the Foundation’s stand included i.a. 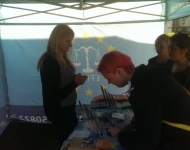 a textbook ”Poles, Europeans, Citizens” – updated by EFHR, as well as Lithuanian and Polish versions of the brochure ”Rights and Freedoms in Practice”, prepared at the Council of Europe’s request. We are glad that a lot of visitors actually remembered both the Foundation itself and the contests prepared by us over the previous years. 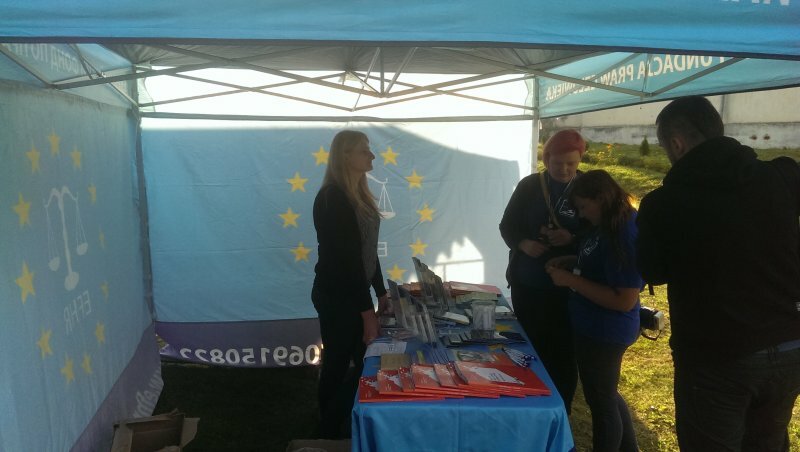 Moreover, people visiting our stand for the first time were amazingly eager to know more both about the Foundation’s activities and the traineeship opportunities. 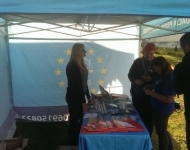 We hope that our presence made young people notice the importance of respecting human rights on an everyday basis. Thus we would like to thank the YCD organizers once more for the invitation and, hopefully, we will see you during our future trips!